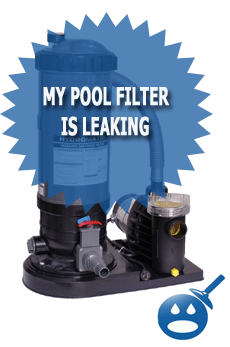 Pool filters can leak from a number of places and depending on where they are leaking from will determine how much and how long it will take to repair the leak on the pool filter. 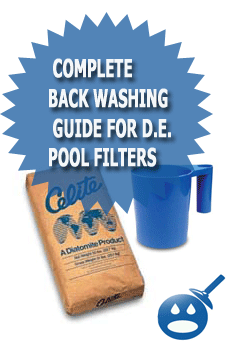 The first thing you will need to do is find out where the pool filter is leaking from. Once you find the leak and you are sure that is where the filter is leaking from you can fix the leak and save water. When the spider gasket inside of the multiport goes bad water will leak out of the back wash line or port. This can cost you a lot of money is wasted water so its best to get this fixed right away. To fix a leaking multiport on your swimming pool filter you can either replace the spider gasket inside if the body of the multiport is good or you can simple replace the entire multiport. My Filter Tank Is Cracked, How Can I Repair It? Often when the pool is closed for the winter some pool filters are left outside with water in them.During the winter season the temperature goes below freezing and will crack the pool filter tank. If the crack in the tank is on the smaller side you sometimes can repair the tank with some two part epoxy. You will have to keep in mind that a swimming pool filter is pressurized and if the crack is to large in size you will just have to replace the broken part of the tank. 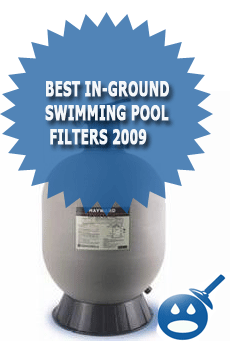 Most pool filters have different sections of the tank and replacement parts are available instead of buying a whole new complete filter. For instance if you have a cracked Hayward Microclear, swimclear, Perflex and you are having no luck repairing the tank you can just buy the replacement upper or lower tank. If the fittings that screw into the multiport on your filter tank are leaking then you will need to back them out and apply new Teflon Tape and thread sealant to them. Placing goop or silicon on the outside of the threads will not stop the leak. You will have to remove the fittings. I have a Proline 22″ high rate sand filter. It is leaking somewhere from the pump behind the trap. Only leaks when the pump is shut off. Is there any kind of apoxy spray I could use or would you do something else? My proline 22inch snad filter is leaking at the top. I have replaced all the parts but still leaking. What else can I do? My sand filter is leaking from the bottom(around the round knob) What could be the problem? its a Hayward & is 3 years old. 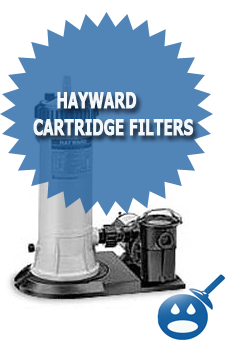 I just replaced the gasket in my Hayward sand filter because it was leaking out the backwash. Now it’s leaking out the very top of the filter head from under the handle, should I have used a sealant under the plastic washer under the handle or is something else causing the leak. It looks as if a piece is broken off that would have gone straight up into the center of the head assembly but not sure what it was? New pool to us.